​While the Federal Government of the United States was prohibited from using “cruel and unusual punishment” due to the Eighth Amendment, in 1977 the Supreme Court ruled that it did not apply to teachers when reprimanding their students. This verdict is still in effect today, with corporal punishment being legal in the United States. Only two states, New Jersey and Iowa, have banned corporal punishment in both public and private schools. There are still 19 states that permit deliberate bodily pain in public schools, often exhibited through hitting. The majority of these states are in the southern region of America. Hitting or spanking was (and in some cases, is) used as a form of immediate response to misbehavior from students. More commonly today in classrooms across the country, teachers can use two different methods to correct deviant behavior: showing punishment or showing consequences. Administering punishment may be an automatic reaction to misconduct amongst students. It is easy to get lost in our frustration when a student acts out, and reacting with punishment in hopes that it will immediate put an end to the behavior. Let’s use the example of a student talking to their friend while the teacher is talking. When the teacher is at the front of the class and hears the student talking to a friend while the teacher is trying to go through instruction, it can be distracting and irritating, especially if it’s a repeated behavior. If the teacher uses punishment to monitor the situation, the teacher may stop their explanation of the task to tell the student to stop interrupting the class and listen. If the behavior continues, the teacher may ask the pair of students to separate, or send the perpetrating student out in the hallway, depending on the level of outburst and distraction. Although it may be an effective way to stop the behavior straight away, it often is not long-lasting and will result in another interruption soon after. The student may feel singled-out, embarrassed to have all of the focus on them, and resentful of the teacher. Taking the same situation but managing it through consequence-based discussion could look a little differently. Before any consequence can be enacted, specific behavior guidelines, and results for breaking them, must be discussed. Consequences should be clear and appropriate for the violation. If the student is talking to a friend during instruction, the teacher may want to remind the whole class to focus on the instruction, otherwise their classmates may be lost. Later on, the teacher may approach the student privately and explain that when the student speaks while the teacher is speaking, it’s distracting for the teacher and for the rest of the class, which may result in their classmates unable to hear the instruction, and result in the student themselves not able to understand the instruction. Students can weigh in on appropriate courses of corrective action (consequences) for the future. In this situation, the student may start to think of the effect their behavior has on themselves, and the rest of the class. When using punishment as a classroom management technique, the results are more immediate, which creates instant gratification for the teacher, so it might seem more appealing and effective. This can inhibit the relationship between student and teacher, and in turn, inhibit the student’s willingness to learn. While punishment limits the student to reside within the rules of a classroom, it also does not allow for the student to think for themselves in the context of their behavior. With a consequence-based response to deviance, the student can take responsibility for their actions. This will do more to ensure the student internalizes the understanding of the correct behavior, while still maintaining the relationship with the teacher. 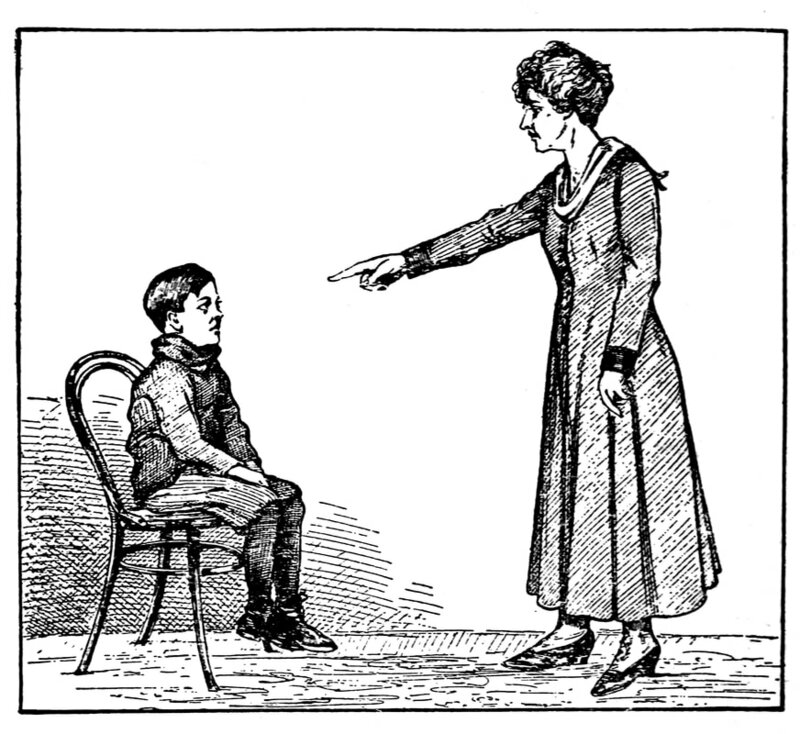 Although it may seem like corporal punishment is outdated, there is still much to learn in terms of behavioral management in response to deviance. As educators, it is important to be open-minded to the modern manner of classroom care--all for the betterment of the students.